E is for Explore! : Solar Energy Balloon Blow Up! Solar Energy Balloon Blow Up! 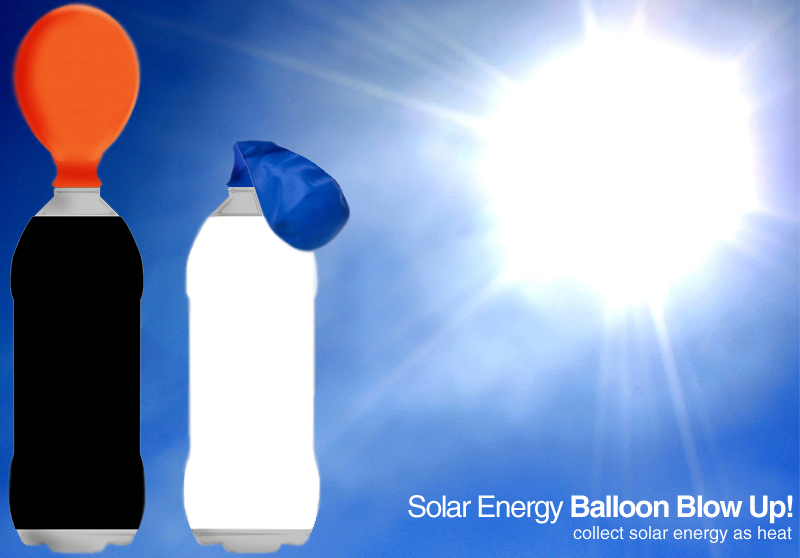 Explore the power of the sun's heat by blowing up a balloon on a bottle! Kids paint one soda bottle white and the other black. Once dry, they attach a small balloon to the necks of their bottles. Then, they put the bottles out in the sun for a solar reaction! Kids see that the air in the black bottle will make the balloon expand! The white bottle doesn't heat up as fast. Check out the experiment here! Wow! I´ll try it with my pupils!! Cool!! I was searching for the same and just came to your post. It was quite useful and informative. Keep sharing good content.